This is about a week or so old and we covered part of the new look back then, but it seems to be finalized now. 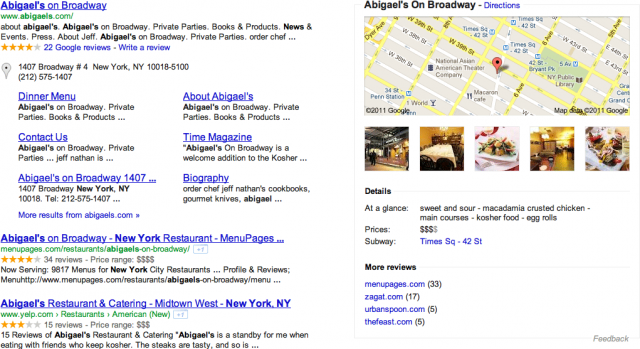 Google Places results in the Google search results have been redesigned. Notice the gray map pins plus all the details in the right pane, where the instant previews are. Mat Siltala said in his blog post, he said the "winner in all this" is Yelp. Yelp is often ranking just below the main result, the main web site. Matt said that by Yelp refusing to let Google take their reviews, they are able to rank well in the search results, above their competitors.